While primarily used as energy sources, fossil fuels are often distilled and refined into different substances. These chemicals are then used in the production of everything from plastics to detergents. Benzene, Toluene and Xylene (BTX) make up a mixture commonly used in the petrochemicals industry. BTX is essential for extracting and creating in demand products such as benzene and nylon – used in the creation from everything from drugs to glues. One of the primary ways of producing BTX is with naphtha – a flammable mixture produced from natural gas, oil and coal. Often used to create fuel, Naphtha has a secondary use as a feedstock for the production of mixtures such as BTX. Catalytic reforming is the chemical process used to convert petroleum refinery naphthas into mixtures like BTX. Another method is steam cracking – where gaseous or liquid hydrocarbons like Naphtha are diluted with steam and briefly heated in a furnace without oxygen. Reaction temperatures can reach as high as 850 °C, with the resulting mixture depending heavily on the temperature used. There are no consumer uses of BTX, but there are a large number of petrochemicals produced from the mixture (ranging from ethylbenzene to nylon). These are then further processed to make other chemicals, solvents or fuels. BTX is also used as a feedstock for benzene extraction, with 70 per cent of the global production of benzene coming from BTX. Benzene is a vast and steadily growing market, with production increasing from 40 million tonnes in 2010 to 45 million tonnes in 2016. It has a wide variety of industrial uses, included in the manufacture of plastics, resins, synthetic fibres, rubber lubricants, dyes, detergents, drugs and pesticides. Benzene can even be found in the home in glues, adhesives, cleaning products and gasoline. The reliance on BTX to continue driving the world’s benzene supply indicates the major role BTX plays in sustaining every day products. In Asia, demand for BTX is reaching new highs – Asia’s benzene-toluene demand recorded a nine-month high in January 2018. After benzene is extracted from the BTX mixture the remaining components are further separated into toluene and xylene. Toluene, the second largest aromatic in BTX, is a colourless liquid used in refinery streams such as gasoline blending. It is also a solvent in types of paint thinner, contact cement and model airplane glue. Xylene may either be used in refinery streams for gasoline blending or further separated for chemical applications. It is also used as a solvent, cleaning agent, in dentistry and as a means to unclog tubing in the petroleum industry. To meet the growing demand for benzene and other derivatives of BTX, oil and gas operators will increasingly produce oil, coal and natural gas. This will inevitably lead to flaring – where excess natural gas is burned off, primarily for safety reasons. 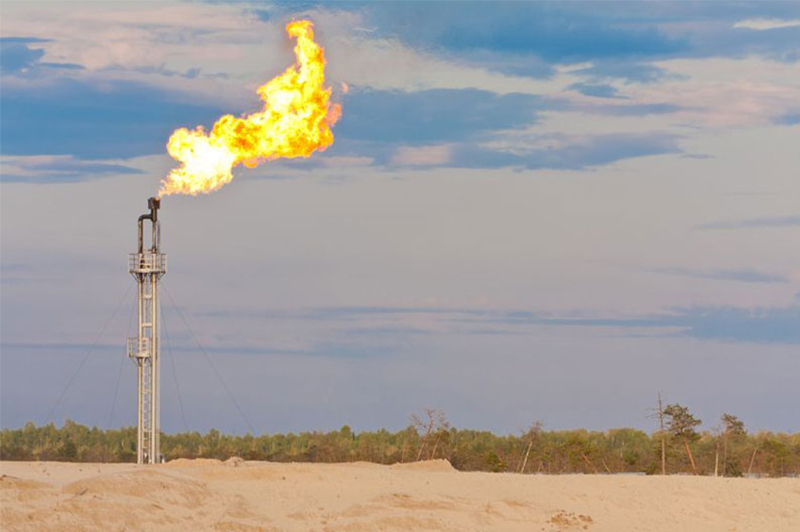 For an introduction to gas flaring in the chemicals industry and the importance of accurate measurement technologies, click here.